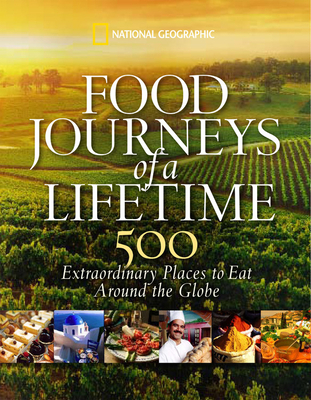 For pure pleasure, few experiences are as satisfying as a chance to explore the world’s great culinary traditions and landmarksand here, in the latest title of our popular series of illustrated travel gift books, you’ll find a fabulous itinerary of foods, dishes, markets, and restaurants worth traveling far and wide to savor. On the menu is the best of the best from all over the globe: Tokyo’s freshest sushi; the spiciest Creole favorites in New Orleans; the finest vintages of the great French wineries; the juiciest cuts of beef in Argentina; and much, much more. You’ll sample the sophisticated dishes of fabled chefs and five-star restaurants, of course, but you’ll also discover the simpler pleasures of the side-street cafés that cater to local people and the classic specialties that give each region a distinctive flavor. Every cuisine tells a unique story about its countryside, climate, and culture, and in these pages you’ll meet the men and women who transform nature’s bounty into a thousand gustatory delights. Hundreds of appetizing full-color illustrations evoke an extraordinary range of tastes and cooking techniques; a wide selection of recipes invites you to create as well as consume; sidebars give a wealth of entertaining information about additional sites to visit as well as the cultural importance of the featured food; while lively top ten lists cover topics from chocolate factories to champagne bars, from historic food markets to wedding feasts, harvest celebrations, and festive occasions of every kind. In addition, detailed practical travel information provides all the ingredients you’ll need to cook up a truly delicious experience for even the most demanding of traveling gourmets.